Laid down, 11 February 1944, as SS Mollie Moore Davis, a Maritime Commission type (EC-2-S-C1) hull under Maritime Commission contract (MCE hull 2458) at Delta Shipbuilding Corp., New Orleans, LA. Decommissioned, 9 April 1946, at Pearl Harbor, T.H. 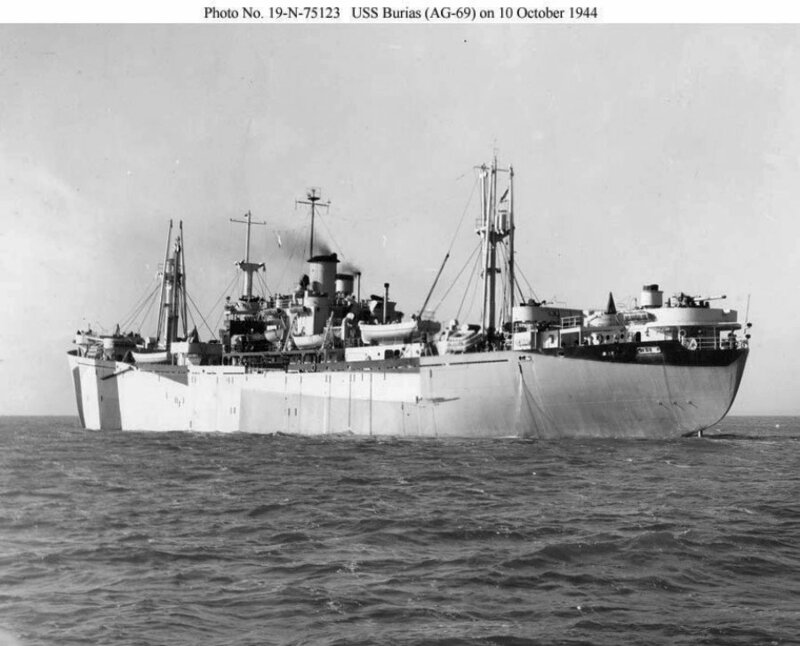 Transferred to the Maritime Administration (MARAD), 14 May 1947, for lay up in the National Defense Reserve Fleet, Suisun Bay, Benecia, CA. 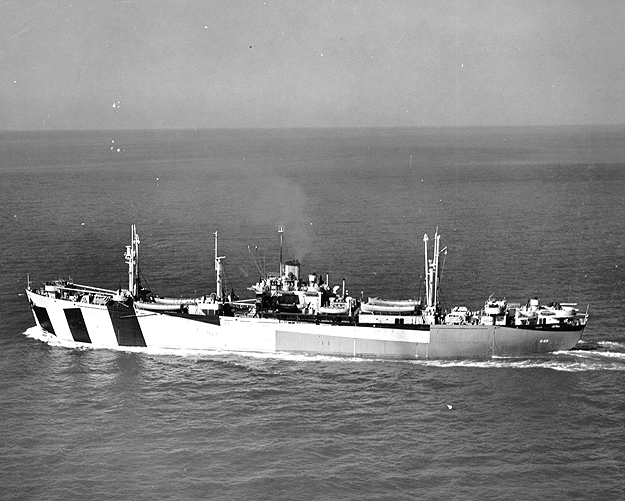 19-N-75123 103k USS Burias (AG-69) underway in Mobile Bay, AL., 10 October 1944, after completing conversion for naval service.